Progress on Earl’s Wood continues, aided by a week off work. 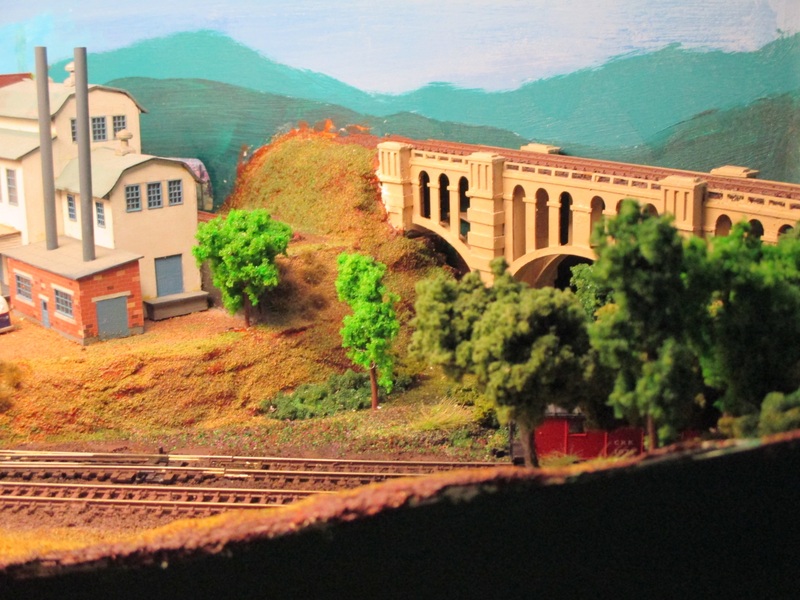 The photos below show the exit from the layout with scenery and ballast complete (apart from a hoover to pick up any odd debris). The trees hide the exit well, and even the odd end to the viaduct is not obvious from most viewing angles. 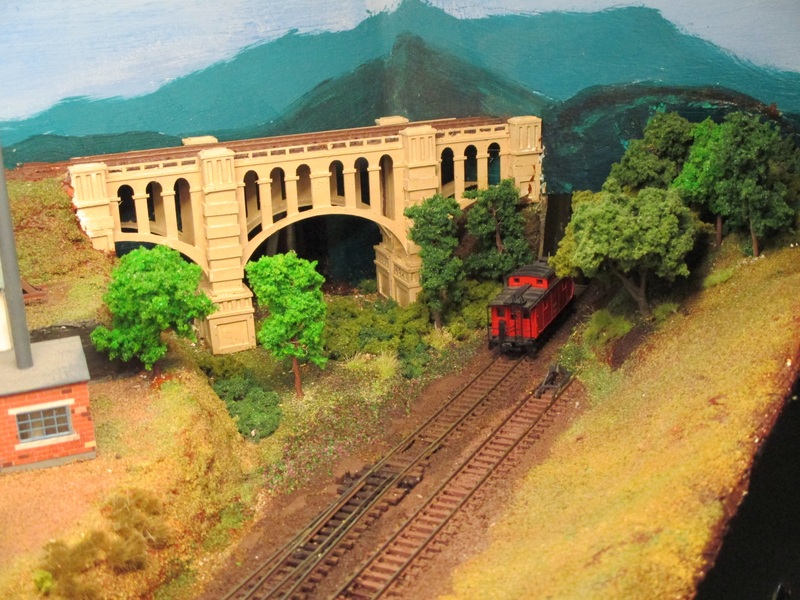 This entry was posted in Jon's layout ramblings, Layout design, N Club International and tagged ESNG, layout design, modular layouts, N-Club International. Bookmark the permalink.